I was planning to pen down my thoughts around this subject from quite sometime, but eventually I was not able to get the right title for this post. I was thinking of using "CHANGE" or "DIFFERENCE" instead of using a rather bold word like "REVOLUTION" in the title. A mail from our very own Shauna Griffis (aka HR Minion) asking for contributions for the next carnival gave me this ROCK solid word "Revolution". Now my friend Ben Eubanks is hosting the next HR carnival on 8th April and he wanted to ask HR folks as to what they think needs a "REVOLUTION" in HR. What do you think of it? 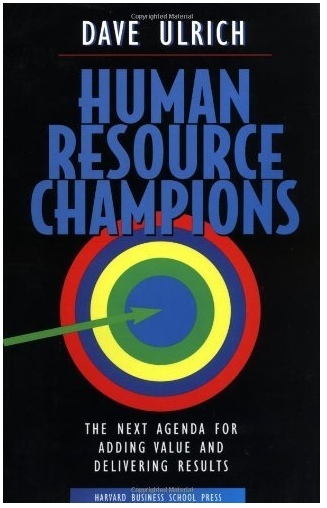 Taking a cue from the mailer on conversations about advances in the HR space and how to shed light on the topics that nobody else was covering, I thought talking about the HR leadership competency will be the apt subject to create what we say as a "REVOLUTION" in the HR space. 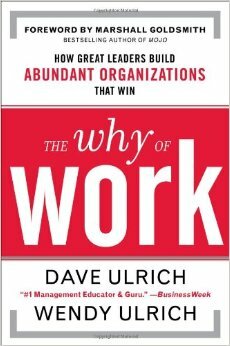 Dave is credited with the development of the "HR Business Partnership" model and has written many influential books on the HR subject. According to him to tackle the worldwide challenges and economic crisis, HR folks must work and develop these 6 HR leadership competencies to thrive in today's unpredictable economy. MASTER these Six key HR Leadership Competencies and take your HR career to the next level. An HR person who can earn and maintain the trust of his employees and managers, while taking strong and proactive business positions. “Trust is the lubrication that makes it possible for organizations to work"
For HR professionals working in high-performing organizations, it is essential to act as a credible activist. For them their words matter a lot and they will do what they say. For the,m commitment is everything. Such kind of integrity forms the foundation of their personal trust that eventually translates into their professional credibility. How to Develop this Competency and Become a Credible Activist in your Organization? An HR person who has a solid understanding of the business financials, strategies and context and uses them to make better decisions. I understand that at times it is felt by the top management that HR people does not understand the pulse of the business. They are not number crunchers and do not like to talk about business financials. I wrote a post on this subject and have laid a lot of emphasis on why knowing and understanding this information is the MOST important aspect to create a VALUE of your self and your department in the organization. Successful HR leaders invest a lot of time in developing their understanding of the market and business financials so that their opinions are not driven by emotions or from the so called "gut feeling" but they have a clear cut logic and data to support their thoughts and decisions. People at the top expect their HR leaders to think in the context of the business and the global environment. How to Develop this Competency and Become a BUSINESS Ally in your Organization? These HR professionals understand the global business context in terms of the social, political, economic, environmental, technological and demographic trends that affects the business either directly or indirectly. They also understand how their industry operates and what are the underlying dynamics in terms of competition, customer and supplier trends. With this knowledge they can develop a vision for their business and department for the future which can translate into key business strategies and annual plans and goals. How to Develop this Competency and Become a STRATEGIC Architect in your Organization? An HR person who ensures things happen on time and everytime. One of the key attributes of an HR Manager is to be an efficient executor. They need to ensure that daliy management taks are taken care of well within timelines. Management and allocation of resources holds key in becoming an operational executor. Stick to your HR yearly calendar and plans and cordinate with different processes or departments so that they all are well aligned to your goals and objectives. How to Develop this Competency and Become an OPERATIONAL Executor in your Organization? 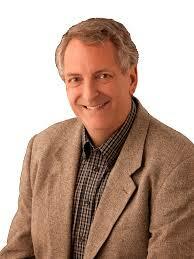 Developing and building organizational capability by creating a strong system and process driven culture. Investing in your core compentencies and doing what you are good and known for. These capabilities include speed, innovation, customer focus, efficiency and creation of meaning and purpose at work. HR managers can help line managers create meaning so that the capabilites of the organization reflect the deeper values of the organization. How to Develop this Competency and Become a TALENT MANAGER in your Organization? Effective HR professionals develop their organizations capacity for change and then translate it into effective change processes and structures. Ensuring a seamless integration of change processes that builds sustainable competitive advantage. They build the case for change based on market and business reality, and they overcome resistance to change by engaging key stakeholders in key decisions and building their commitment to full implementation. They sustain change by ensuring the availability of necessary resources including time, people, capital, and information, and by capturing the lessons of both success and failure. How to Develop this Competency and Become a CHANGE AGENT in your Organization? To cut the story short, this is a great time to be in HR as the future looks very promising. As HR professionals, my sincere advice to you is to master these 6 competencies as they will add explicit value to you and the organization. Do let me know you which are your weakest competencies and how do you plan to master them. Let me hear your views in the comment section below. I was planning to pen down my thoughts around this subject from quite sometime, but eventually I was not able to get the right title for this post. I was thinking of using “CHANGE” or “DIFFERENCE” instead of using a rather bold word like “REVOLUTION” in the title. A mail from our very own Shauna Griffis (aka HR Minion) asking for contributions for the next carnival gave me this ROCK solid word “Revolution”. Now my friend Ben Eubanks is hosting the next HR carnival on 8th April and he wanted to ask HR folks as to what they think needs a “REVOLUTION” in HR. What do you think of it? Taking a cue from the mailer on conversations about advances in the HR space and how to shed light on the topics that nobody else was covering, I thought talking about the HR leadership competency will be the apt subject to create what we say as a “REVOLUTION” in the HR space. 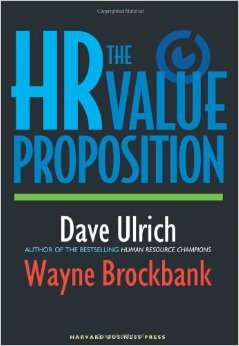 Dave is credited with the development of the “HR Business Partnership” model and has written many influential books on the HR subject. According to him to tackle the worldwide challenges and economic crisis, HR folks must work and develop these 6 HR leadership competencies to thrive in today’s unpredictable economy. Successful HR leaders invest a lot of time in developing their understanding of the market and business financials so that their opinions are not driven by emotions or from the so called “gut feeling” but they have a clear cut logic and data to support their thoughts and decisions. People at the top expect their HR leaders to think in the context of the business and the global environment.